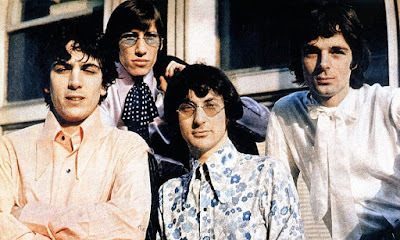 The first promotional clip for the song, written by Syd Barrett, was filmed in early July of that year – a month before the album’s release – as part of a Pathé newsreel. Following the addition of David Gilmour in the lineup in January 1968 – in an effort to stabilize the group as Barrett’s alleged drug-fueled and mental health behaviour continued to spin out of control during rehearsals, live shows and media interviews – the band decided to remove Syd a few weeks later and continued with their busy schedule. A trip to Brussels, Belgium in mid-February 1968 led to the filming of a second video for “The Scarecrow”, with bassist Roger Waters lip-syncing Barrett’s vocals as the group mimed the song in the city’s Parc de Laeken (Laeken Park). Barrett agreed to leave Pink Floyd following band meetings in March, and the band officially announced his departure on April 6, 1968.